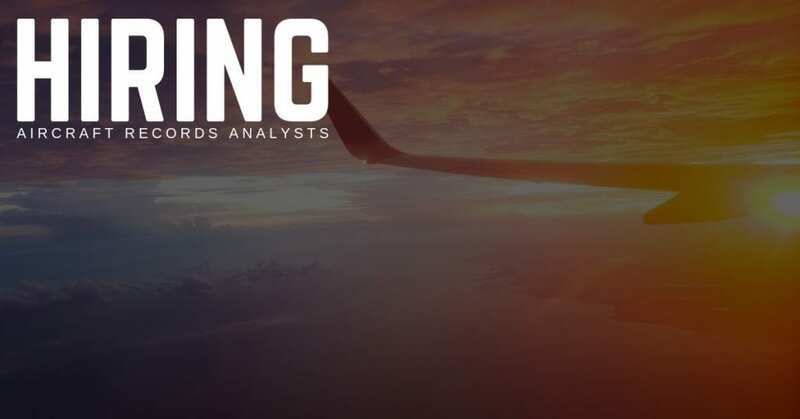 STS Technical Services is hiring Aircraft Records Analysts in Ypsilanti, Michigan! Responsible for the administration of Aircraft / Engine Records in accordance with company and FAA standards. Perform the updating of master aircraft, engine, and component maintenance records, and verify reporting of aircraft/component maintenance, maintenance actions, and modifications. Provide constant monitoring of time controlled aircraft, engine, and components to ensure that inspections and removals are accomplished in compliance with FAA and company policies. Ensure accountability, correctness, and completeness of all legal documents pertaining to aircraft, engine, and component maintenance. Maintain a check and balance system of aircraft records in MISA and KARDEX. Have at least 2 years experience in 14 CFR Part 121 air carrier maintenance or operations. FAA Mechanic Airframe and Powerplant Licenses desired, but not required. Excellent skill level with aviation paperwork. Must have a good working knowledge of computers. Experience with ADs, FARs, etc. If you would like to speak with an Aviation Recruitment Professional directly, call 1-800-359-4787. Our job placement services are always free, and we are open seven days a week. Reach out at any time! Thanks so much for your interest in working with STS AeroStaff Services, and we look forward to speaking with you soon.